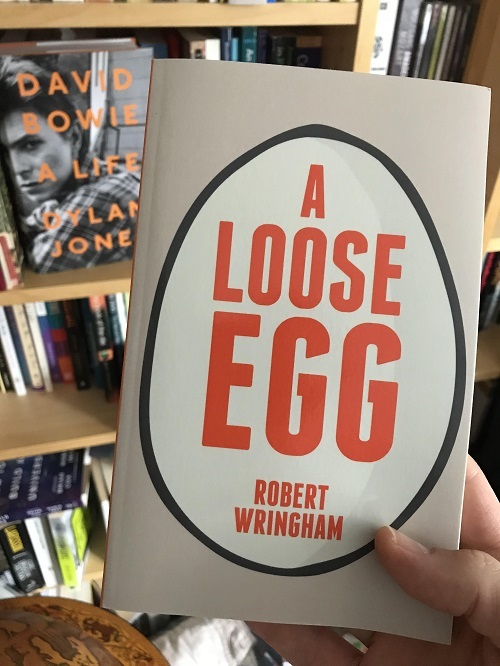 Friend Matt emails to say that he found (and seemingly bought) a copy of my book, A Loose Egg, in a Welsh charity shop. I have decided to take this as an indicator that I have finally made it as a writer. A pessimist such as yourself, madam, might point out that my book must have been purchased by someone who didn’t enjoy it enough to keep it on their bookcase. Or even that they’d been bought the book as a gift and didn’t read it even once (it does look relatively unthumbed in the photograph doesn’t it?) before handing it over to Chaz. As much as I might like a reader to treasure my books and to give them pride of place on their own personal “faves” shelf along with their Great Works of the Philosophers and their Viz annuals and whatnot, I’m more inclined to say “NO, STUPIDHEAD,” they clearly thought it was good enough to donate to charity rather than to simply lower quietly into the bin. That is a good thing. I’ve also been a champion of minimalism for a long time and I understand that ridding yourself of a book (or a DVD or a baby or whatever) is to liberate it. Information wants to be free. Look, that’s my bubble of delusion and I’d like to stay in it if that’s okay by you? 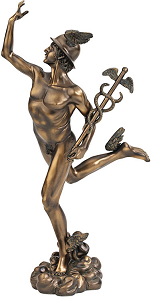 But it really does feel satisfying to know that my work has gone right through the system now. It has gone from being written with my keyboard-tapping fingers at home, through the various distribution systems afforded to books, through the eyes and brain of the person who originally bought it and, finally, out of the other side. I find that genuinely pleasing. It feels like I’ve shouted loudly enough out of my window to startle the dozing crows from a tree on the other side of the planet. I feel proud in a way that a plastics manufacturer must feel when their work shows up in the stomach of an autopsied seabird. How can something from your own little factory floor have traveled so far and established so many relationships with other people and systems and things? It’s miraculous. It blows my mind to remember that there’s something in the region of 20,000 books with my silly name on the cover moving around the surface of the Earth as we speak — like so many slow-moving cruise ships or migratory beetles — some of them now in people’s hands, others in boxes and on shelves, others next to beds and toilets. People sometimes send me pictures of themselves reading Escape Everything! on a beach or in some tropical location, which I always enjoy and is very much in the spirit of the book. I wonder, though, where the most strangely located Wringham books might be? Could there be one in space yet? Buried with someone in a grave, either by request or in error? I understand from Worldcat that there’s a copy held by a school library in an American town called “Normal,” which is pretty cool. In the case of Loose Eggs that end up in charity shops or in the bin, I suspect the person who bought it had enjoyed New Escapologist and Escape Everything! and had anticipated more of the same. It’s like when Queen Victoria, impressed by Alice, had insisted that Lewis Carroll send her a dedicated copy of his next book. When it turned out to be a mathematical thesis she was not amused. I am the Lewis Carroll to Welsh Escapologists. At last!